Dead Bees on Washington: When Is the Environmental "Now"? Just two weeks ago, June 20-26, 2016, we celebrated the annual National Pollinator Week—or you may have observed it if you knew it was National Pollinator Week. Most likely, you didn’t. Some beekeepers would like to change that. One, in particular. Last month, he drove a truckload of rotting honeybees—550 pounds of them—to the Environmental Protection Agency (EPA) headquarters on Capitol Hill in Washington, D.C., to protest the use of pesticides. 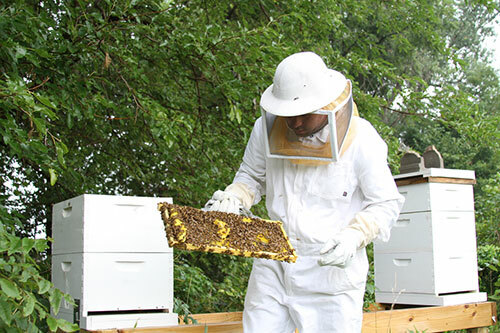 The stunt culminated a coast-to-coast tour, called “Keep the Hives Alive,” meant to raise awareness about the recent massive declines in pollinator species. It’s estimated that 44 percent of America’s honeybees die each year, three-quarters of which is attributed to pesticides. To help visualize the amount of this loss, if you collected all the bees that died from pesticides in the U.S. annually, you could stack them seven feet deep across a football field. As with the science of climate change and the reams of studies showing that we must act now if we want to mitigate its consequences, we have the research to prove that bees are dying due to pesticides and there will be dire repercussions in the world’s food supply if we don’t do something soon. Why, then, does “now”—when it comes to environmental issues—never seem to come? U.S. honeybees, beyond supplying us with $150 million in honey annually, pollinate many fruits and vegetables, such as alfalfa, apples, cucumbers, peaches, pumpkins, strawberries and watermelons. According to the International Union for Conservation of Nature (IUCN), almost 84 percent of the main crops grown for human consumption in Europe need bees and other pollinators to increase their yields and quality. Earlier this year, U.S. beekeepers reported that they lost 44 percent of their colonies between April 2015 and April 2016—close to the highest annual loss rate over six years of collecting data. 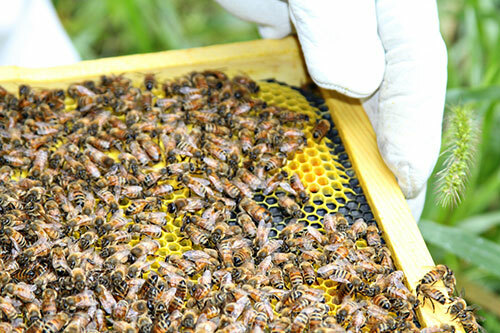 That die-off costs the farming and beekeeping industry more than $2 billion annually. Scientists say several factors are to blame, including climate change, habitat destruction and the degradation of our natural resource base to the point that the only way we can produce food using current methods is with the assistance of agrichemicals. But within this mix of components, one class of widely used insecticides is a clear culprit: neonicotinoids. Sharing the same chemical properties as nicotine, neonicotinoids are neurotoxins that can kill bees. Last year, in 2015, the journal Nature published the first study to establish a direct causal link between exposure to neonicotinoids and bees’ ability to do their job as pollinators. The chemical disorients them, makes it harder for them to get back to their hives, and can create long-term health and reproductive problems. Neonicotinoids may be causing three-quarters of the bee die-offs. Then, in February 2016, a landmark United Nations-sponsored investigation provided the first-ever global assessment of the status and threats to the 20,000 wild bee species and thousands of other insects, birds and mammals that provide essential pollination services for 75 percent of the planet’s food crops. 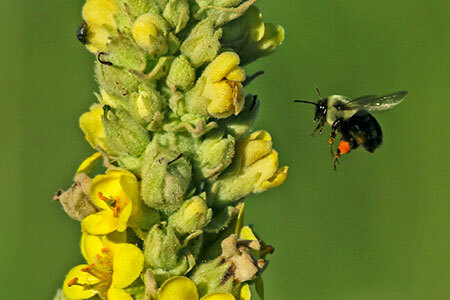 Results showed that 40 percent of all invertebrate pollinators are on a path toward extinction. Pollinators with backbones, such as hummingbirds and bats, fared only somewhat better with 16 percent of the species under threat. Those behind the Keep the Hives Alive campaign say that given the convincing science about the link between neonicotinoids and bee die-offs, the EPA should move quickly to stop any and all uses of these dangerous chemicals. In 2015, the EPA did propose some limits on insecticides, but they didn’t cover widely used insecticide-coated seeds. Lobbying from big pesticide companies, including Dow Chemical and Monsanto, also hindered national action. However, reports, such as the study published in Nature and the United Nations investigation, did prompt the EPA to begin a process to assess four types of neonicotinoids and their impacts on pollinators. The agency acknowledged that one of them, imidacloprid, could harm bees, but preliminary assessments of the other three neonicotinoids aren’t scheduled to be released until late 2016 at the earliest, and the entire process won’t be complete until 2018. Some, such as Jonathan Lundgren, who in March 2016 resigned in protest from his research entomologist job at the U.S. Department of Agriculture, said the USDA suppressed research that showed pesticides could be bad for honeybees. The Keep the Hives Alive tour gathered 4.8 million signatures calling for a ban on neonicotinoids. Major garden retailers Lowes and Home Depot have announced plans to phase out sales of pesticides containing the chemicals and neonicotinoid-treated seeds. And a handful of cities and states have acted to restrict the use and sale of the dangerous chemical. 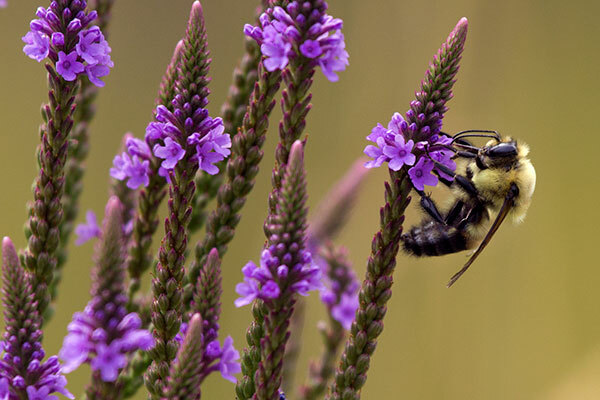 Maryland’s Pollinator Protection Act is the first bill passed in the U.S. to eliminate consumer use of neonicotinoids. Still, there is no overarching national regulation to protect our pollinators before the crisis gets completely out of control. Given the facts and what’s at stake, some are urging the EPA to suspend all uses of bee-killing neonicotinoids now. Can we wait for the EPA to make its final conclusions in 2018? When it comes to important environmental issues, such as climate change and the loss of pollinators, the “environmental now” never seems to get here. I guess the simple question is if we can’t get the pesticides ban, can we simply increase bee population with residential home hives? Fungicides are also detrimental and according to some studies even more so. If it were only this simple. what about the 40% or so mortality attributed to Varroa mites? the lack of nutrition rich habitat in many areas where pollinators are needed? This is such a multi-factoral issue that research to tease out the relative role is needed..and is being done by academic scientists as well as those within ARS (Agricultural Research Service). How shocking the amount of honeybees died from pesticides?! And how shocking that how little people are aware of the damages of pesticides to the bees and further to our healthy food supply! Wonderful article! No, I don’t think “now” will ever come. Thanks to the politicians in Washington. If it’s not some issue that will not be able to fill their pockets, they just don’t care. Sad, but true. Issues like climate change, animal rights, infrastructure in the U.S. All of these problems have been talked about for at least 30 yrs. but no one does anything after its mentioned in an election year & conveniently forgotten. It’s a promise we all want hear & they will gladly remind us, just wanting your vote. That’s all. Are there ANY honest politicians left or are they all on the take from special interest, big pharma, big oil, Wall Street, etc. isn’t this a crime called “bribery”? I guess not, since they are “above the law”. It’s all sickening to me. Rachel Carson wrote about this threat in her book “Silent Spring” 1962. Impact? We banned DDT. The first warning about the possible impact of Green House Gasses was made as early as 1903. Impact 0. The Chinese Emperor was warned about overpopulation 1500 BC. Impact, more than 1 Billion people in the nation and eventual response led to age structure imbalances which creates a whole new set of problems. It should therefore be obvious that humans never learn from history. It seems clear that personal interests, such as fashion trends, places to go and eat out, and what car to buy is the most serious considerations of the well to do. My response? Until we stop talking and start doing, we will go no where!! The only language that people seem to listen to is money. So follow the money and hurt the transgressors in their pockets. This is so sad! I don’t know what to do other than to sign!